EDIT 03/30/2018: The page is all finished! Thank you for your kind words and patience. You guys are the best! I apologize for the unfinished page, I still have to color this one. But more than that I'm sorry that this has happened so much recently. I don't know why I'm having such a hard time keeping up with stuff. A lot of weird things happened this week. Check back later today, and it will be done. I promise to do better in the future. 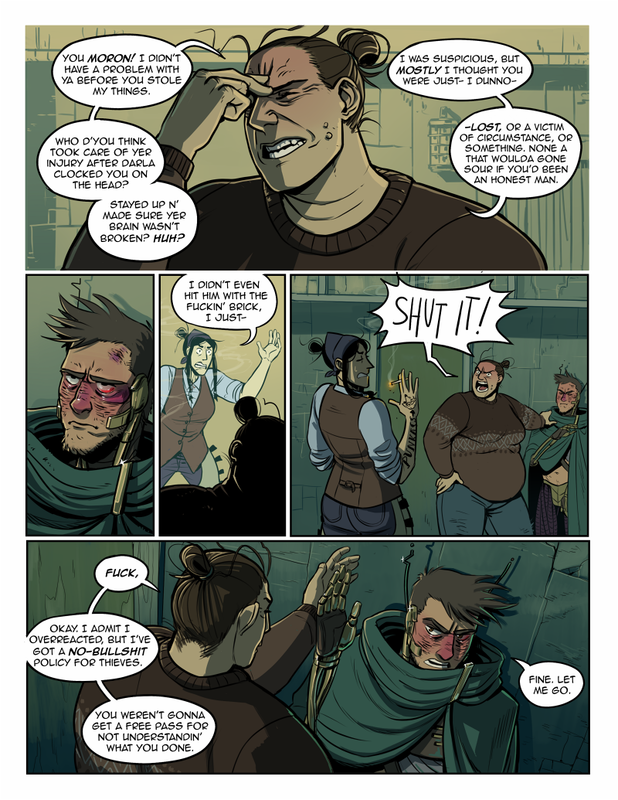 Poet's getting a little anime lookin' in that last panel there. I just finished reading part 6 of Jojo's Bizarre Adventure and I keep thinking about it while I draw! It was a great comic! Part of me really wishes I could draw as fast as Araki Hirohiko, though.